When it comes to matching a tyre or wheel to your machine and requirements, the team at Agrigear are at hand to advise farmers and contractors about the best option to suit a slurry system. With an extensive range of tyre and wheel solutions for slurry tankers and muck spreaders, Agrigear has tyres to suit anything from a small 900-gallon tanker to a larger 4,000-gallon machine. 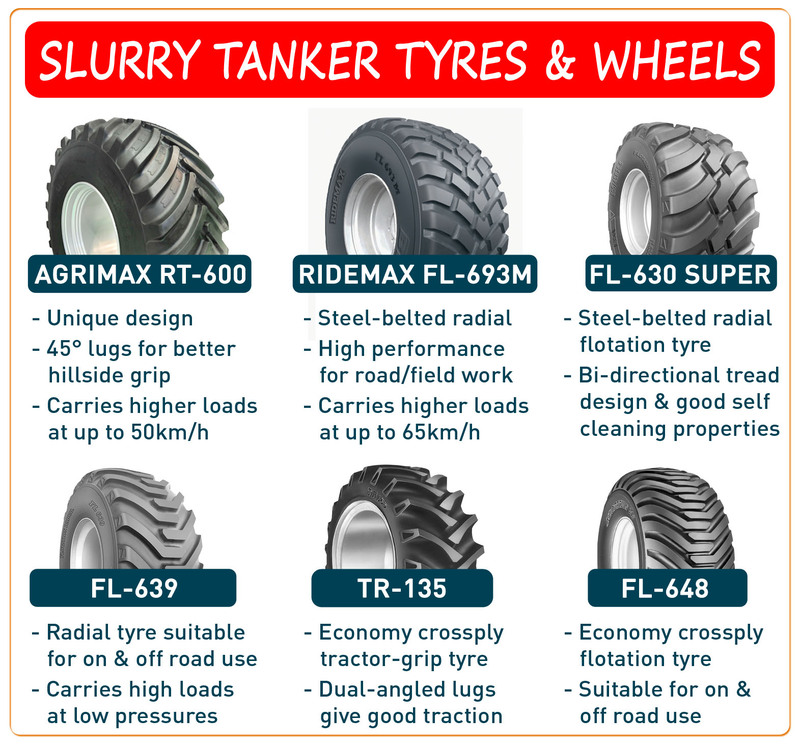 The total weight of the tanker (machine weight + slurry weight) could be anything from 10 to 24 tonnes, so selecting suitable tyres and wheels for a machine is important and needs to be determined by assessing both the machinery being used as well as the land profile being worked on. The objective is to minimise damage to the ground whilst ensuring efficient operations. Agrigear can provide wheel options for almost every slurry tanker or muck spreader in the market, including older models with wheels that are not built in. Wheel manufacturing and modification services are also available where wheel centres can be modified within the wheel rim to suit different requirements. For more information or to find your nearest stockist, call Agrigear on (042) 9666444 or visit www.agrigear.ie. At this year’s FTMTA Farm Machinery Show (Thurs 5th-Sat 7th February), Agrigear will be showcasing the NEW FL-635 grassland tyre developed by BKT. 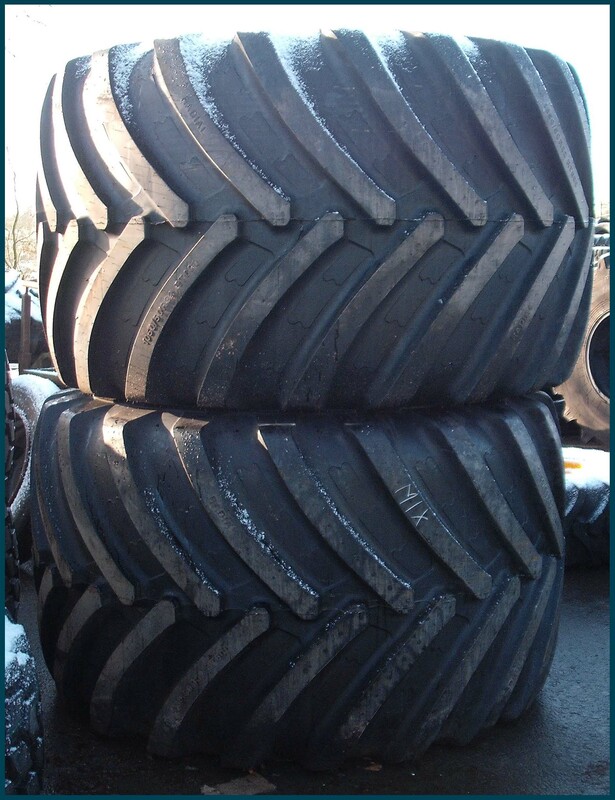 This specially designed tyre is ideal for grassland applications such as balers, wagons and trailers; it is also suitable for muck and slurry equipment. Looking forward, this tyre will be ideal for trailer applications, particularly 20ft trailer ranges that require higher carrying capacities. Now available in Ireland this radial flotation tyre in size 650/55R22.5 has a load/speed index of 167D which means that each tyre can carry a maximum load of 5.45tonne while travelling at a speed of 65km/h. 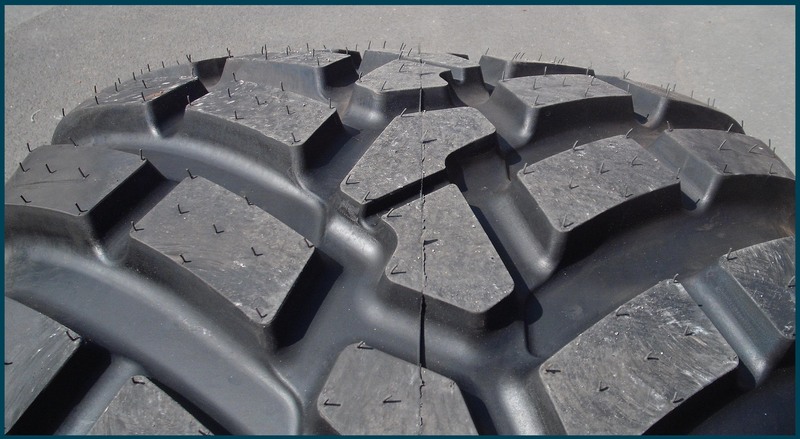 The FL-635 tyre is suitable for road (50%) and field (50%) usage. The open and deeper grip offers good rolling abilities and hillside grip, whilst the block pattern is designed to give a good ground footprint which can help reduce soil compaction. 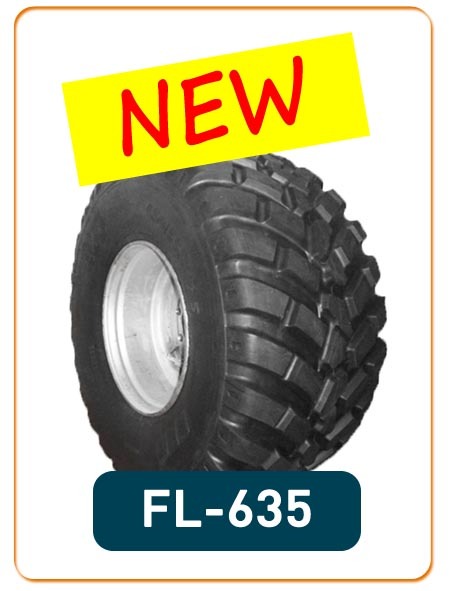 Technical information for the FL-635 tyre can be viewed on the Agrigear website - click here. 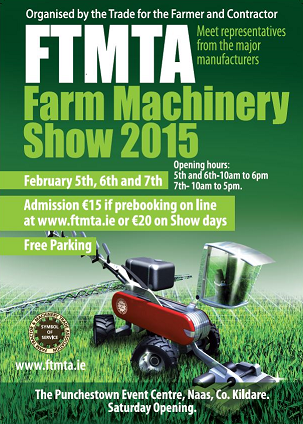 Visit Agrigear's stand in Pavilion 2, Stand 261. The recent cold weather snap has seen the entire country exposed to the usual winter elements of ice, sleet and snow with driving conditions proving somewhat challenging. With the cold snap set to continue into February, 'winter' or 'cold weather' tyres are a wise investment to help safe travel during the cold season as they are most effective when road temperatures fall to below 7°C. 1) WINTER TYRES ARE NOT SNOW TYRES... they can be used on roads that might be wet, frosty, icy, covered with slush, rutted with compacted snow, or merely dry and cold. 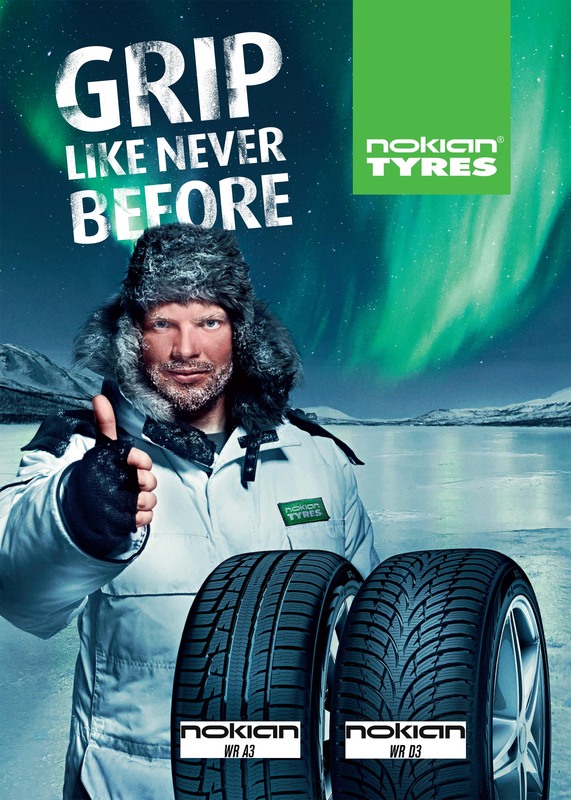 They are designed to be more effective than regular tyres in any temperature below 7°C on any type of road. 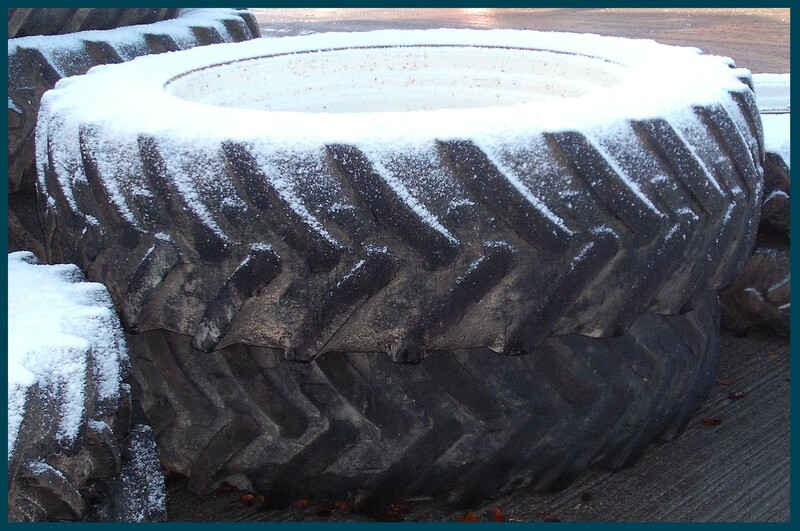 2) WINTER TYRES HAVE A SPECIAL RUBBER COMPOUND... they are specially built to provide extra traction in winter weather. The tyre compound contains more natural rubber which stops the rubber hardening when it’s cold. This special compound stays soft even in cold dry conditions, therefore providing a better grip on the road where normal tyres lose their elasticity below 7°C. 3) WINTER TYRES PERFORM WELL EVEN ON WET ROADS... with their wider tread blocks, winter tyres eject water from tyre treads more effectively than normal tyres. The risk of skidding is reduced as pocket-like sipes (cuts) on the tread blocks of winter tyres remove water from icy road surfaces and significantly improve grip, therefore providing a more steady and safe drive. Tues 3rd - Thurs 5th February 2015; 1.00pm-10.00pm each day. 10.00am - 6.00pm (Thurs & Fri); 10.00am - 5.00pm (Sat).